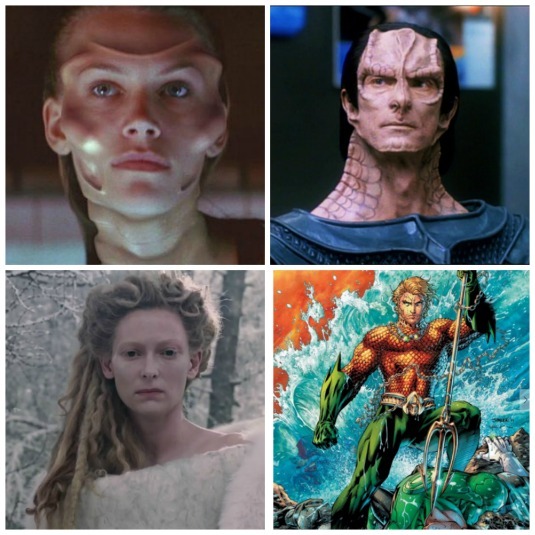 You end up with Banks‘ costume, which is a very different version based on the original. 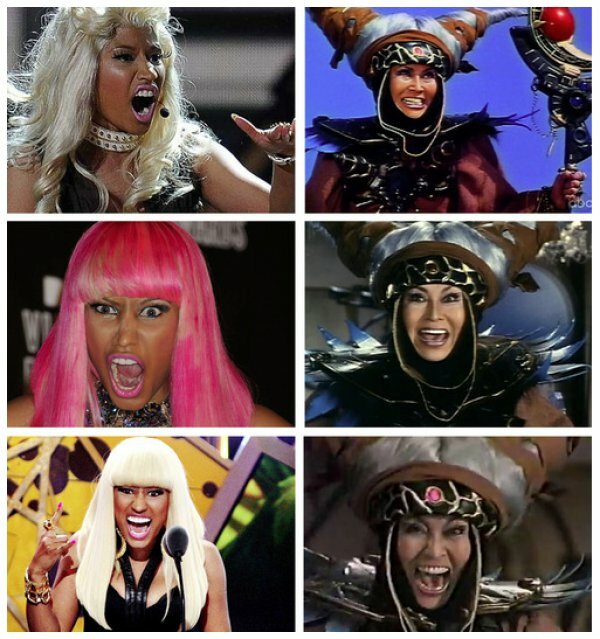 The image above is the original Rita Repulsa, no the one on the right, the other is Nicki Minaj, this leads me to wondering how does one artist look so much like a Power Rangers villain AND Mrs. Potato Head in one lifetime?! We’re just gonna give her a pat on the back for her efforts: Achievement Unlocked. 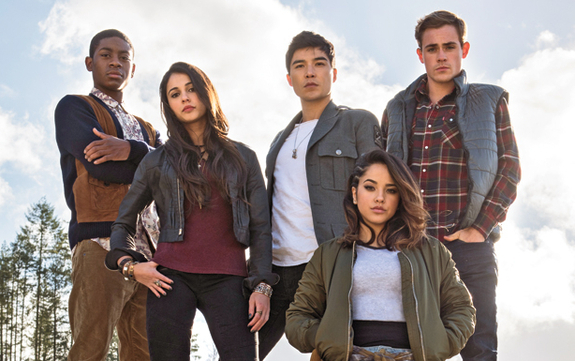 We have a new group of actors portraying the mighty Power Rangers who have imbued, ancient abilities that allow them to protect their city from a never-ending supply of villains who have but one goal, conquering, destroying and basically harnessing Earth for themselves. This entry was posted on Tuesday, April 19th, 2016 at 3:49 pm	and is filed under Film, News, Television. You can follow any responses to this entry through the RSS 2.0 feed. You can skip to the end and leave a response. Pinging is currently not allowed. « Film Review: ‘Until Proven Innocent’!